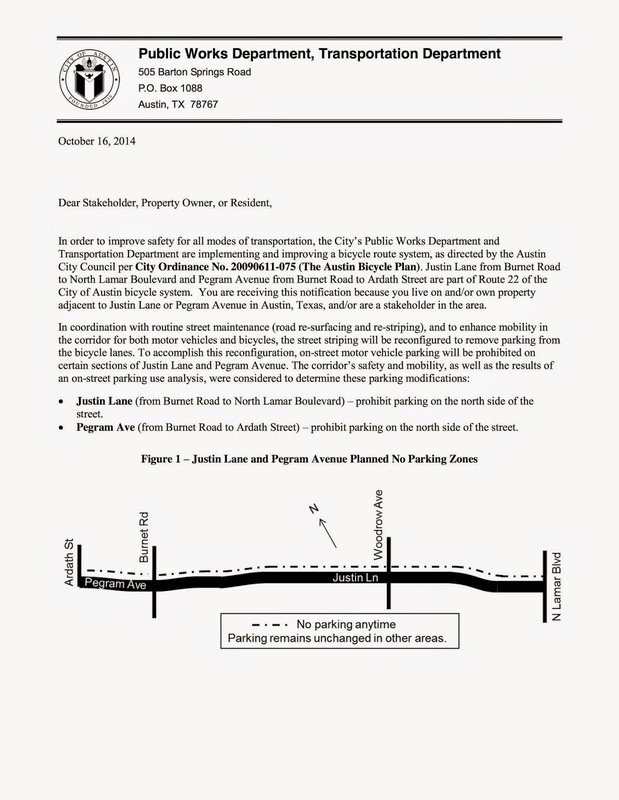 We got notice today from the City regarding street improvements to Justin Lane from Lamar Blvd to Burnet Road. See the attached letter for more info. The plan is proposed to increase safety and provide both parking and bike lane changes. 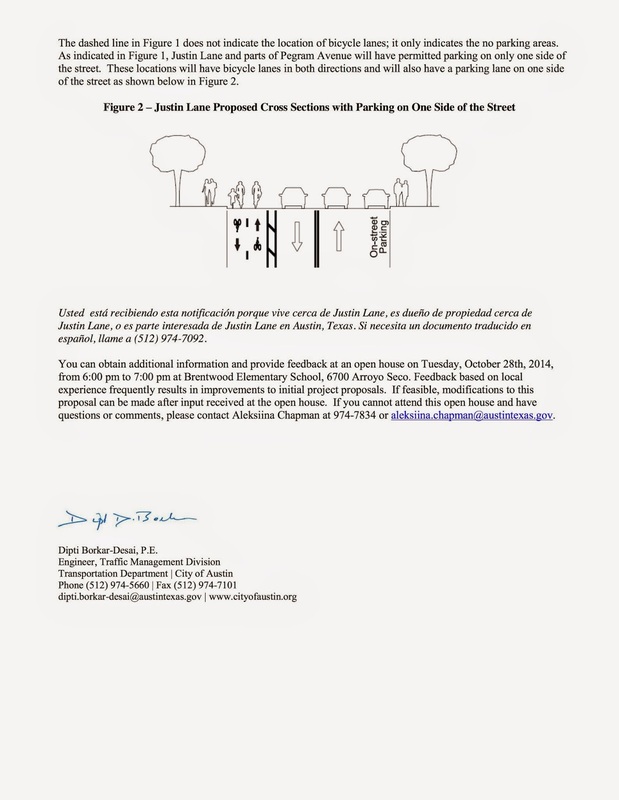 There will be a Open House on Tuesday, October 28th from 6:00 pm to 7:00 pm at Brentwood Elementary School, 6700 Arroyo Seco to get more information and provide feedback.